Ranking at number 28 is the Warrior Tier 1 set, which admittedly does not hold up very well by today’s standards. However, like our number 29 priest entry but more so, this set was striking for its time. The large spikes were expected, the color palette was not. This set actually was a stark contrast to the other plate sets in tier 1, specifically the Paladin set. 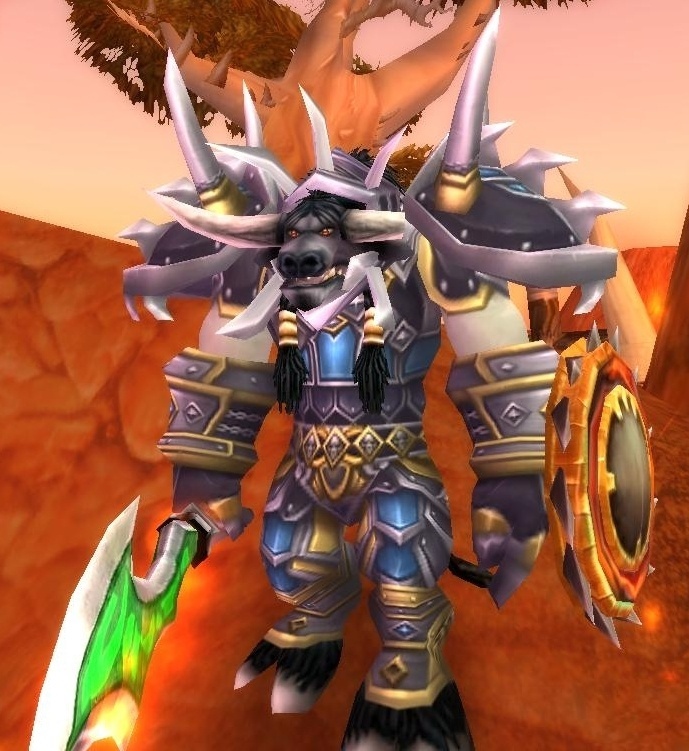 This Battle Gear of Might really seems to have been custom made for and screams Orc/Tauren, much to the dismay of the other races during its prominence. No confusing this for mage gear, huh? This entry was posted on May 7, 2011 at 1:29 pm and is filed under General, MMO, Role Playing, World of Warcraft. You can follow any responses to this entry through the RSS 2.0 feed. You can leave a response, or trackback from your own site.